Mexicali, the capitol of Baja California, is an important center of industrial production in the automotive, aerospace, telecommunications, metallurgical, and health services as well as manufacturing and exporting products to various countries. While it has all the sensibilities of nearby border cities like Tecate and Tijuana, it has more of a cross border feel--just about any American tourist should feel right at home here. It's home to the happy-go-lucky cachanillas(Mexicali natives); a laid back people who know how to enjoy life, and always have time for a cold beer with friends and family. This hasn't stopped them from having one of the highest standards of living in Mexico. Mexicali is the birthplace of the Clamato(created at the Hotel Lucerna), home to one of Mexico's best craft beers: Cucapa, and has the largest Chinese immigrant population in all of Mexico. 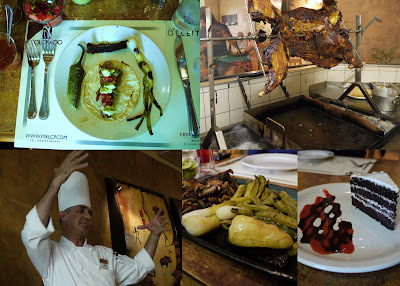 This is a place of carne asada, chabelas(beer cocktails with Clamato juice), and a local style of Cantonese-Mexican cuisine that is famous throughout Mexico. Whether in town for business, crossing the border for the day, or planning a longer stay; Mexicali has plenty of attractions for the tourist. Enjoy a 5-star experience at Hotel Araiza and dine at the adjoining restaurant La Fonda de Mexicali, known for it's fine breakfast and grill buffets. Once you're checked in it's time to indulge in a taste of Mexico. 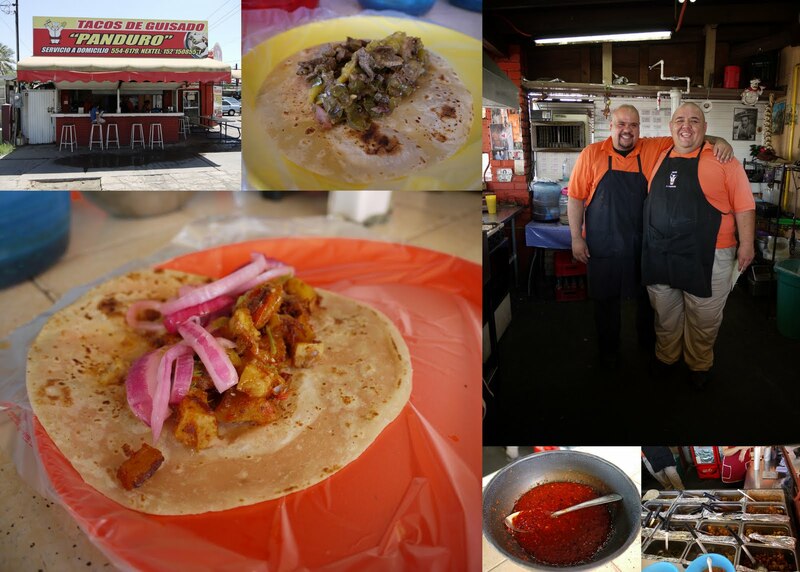 Don't miss a Mexicali tradition of lamb barbacoa and beef head tacos at Tacos Ferrocarriles--a row of stalls that have been serving up delicious tacos since 1976. At 11-year-old Tacos de Guisado Panduro, you'll find northern stew tacos engineered for the breakfast crowd. Try chilorio(chilied pork), machaca (beef jerky), picadillo(ground beef with vegetables), or albañil(brick layers stew). 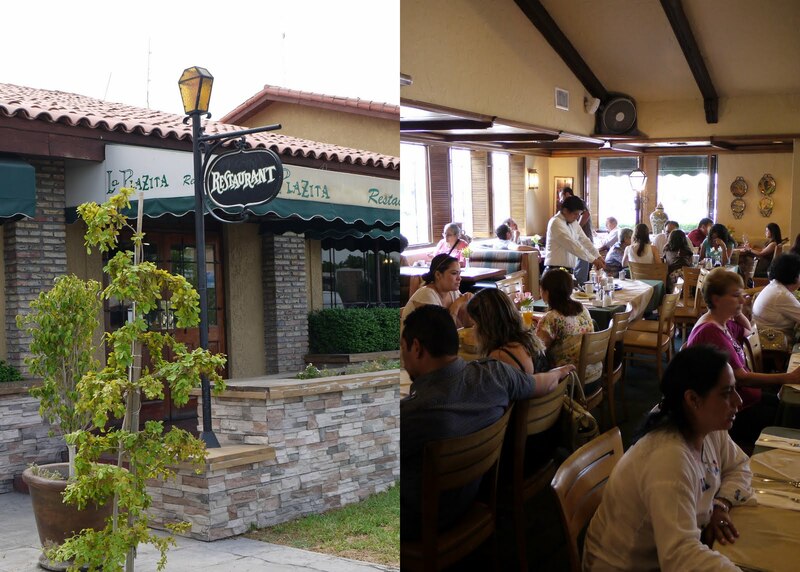 La Plazita, owned by Omar Dipp Nuñez, is the place to go for classic Mexican breakfast dishes in a casual setting. The menu features regional egg dishes like huevos divorciados(divorced eggs), huevos ahogados(drowned eggs), huevos morelianos(morelian eggs), and the house specialty: huevos en cazuela( eggs in an earthen casserole). Chef Juanito from Torreon takes special care in pleasing his customers, even tailoring the spice to fit their condition, and the front of house--Luz Maria--always greets each guest with a smile. This place is eggzactly the way to start your morning. If you can't find a seat, walk around the corner to Las Campañas de La Plazita--same owner and a similar menu. When Cachanillas aren't eating tacos they eat Chinese food--6 out of 10 seats in Mexicali restaurants are for Chinese restaurants. Around 1 PM these restaurants will be packed with locals feasting on their own brand of Cantonese-Mexican cuisine. 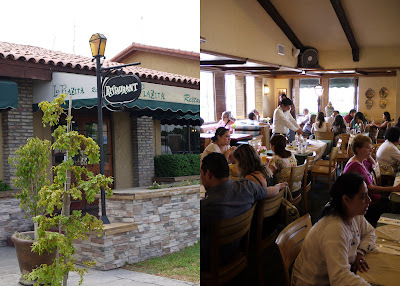 The most well-known and beloved of these 250+ restaurants are Rincon de Panchito--owned and operated for the last 28 years by Panchito from Canton--and nearby Dragon restaurant. 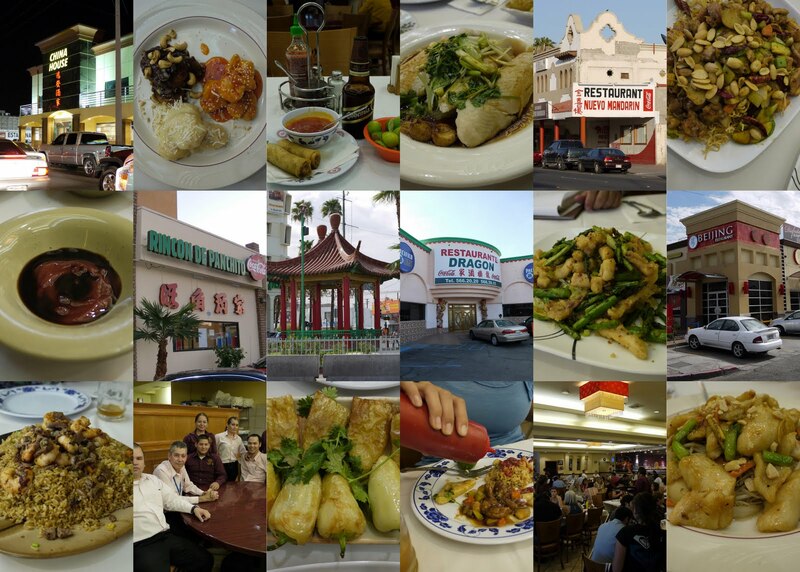 Mexicali's Chinese cuisine is different than our own Americanized Cantonese. It's where unconventional plates are washed down with Mexican beers, and chiles güeros are dusted with star anise instead of chili powder. Give it a try, and remember to put some ketchup in your soy sauce--it's the Cachanilla way. There plenty of seafood options in town, but Laguna Azul is the pearl of this ocean of delights. Laguna Azul makes some of the best seafood cocktails around. The campechana, or mixed seafood can be ordered for an individual or for the whole table. And there are tacos. Mexicali has a ton of excellent carne asada asaderos, or roasters, as well as seafood taquerias. 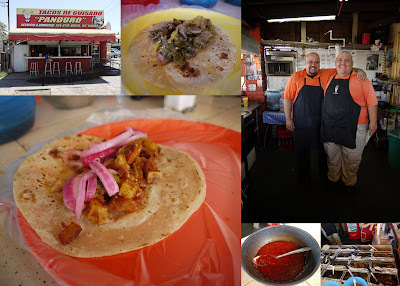 There are also outposts of famed taquerias from nearby states such as Sonora, where much of the Mexicali tradition gets its inspiration. 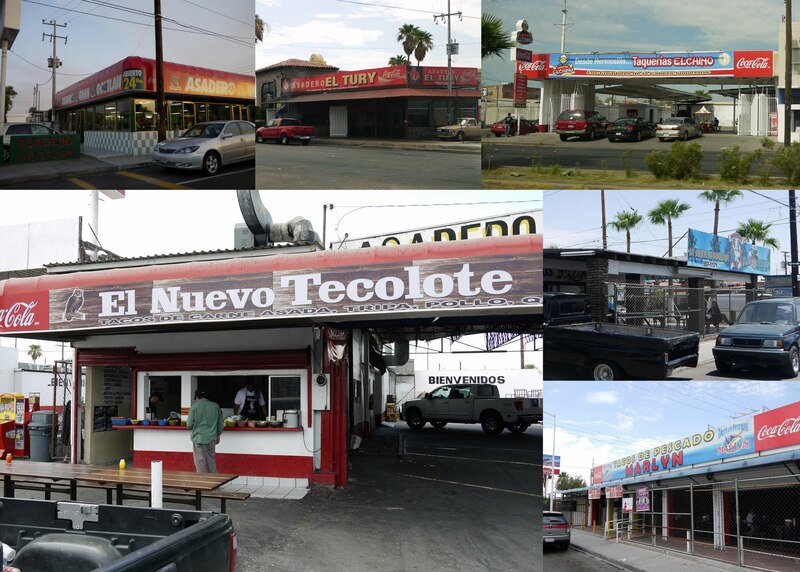 A great place to partake in the Mexicali style of carne asada tacos is at El Tecolote Mocorito. Mexicali has many fine dining options for dinner aside from the popular tacos. Go to Chef Guillermo Barretto's Trattorria La Piazza for Baja-Italian cuisine, or check out Mediterraneo. At the Crowne Plaza Hotel restaurant Colorado you'll find one of the best tastes of Mexicali: borrego de vuelta y vuelta(rotisserie lamb). In addition to the superb lamb dish we recommend the Sonoran style steaks at this contemporary grill. 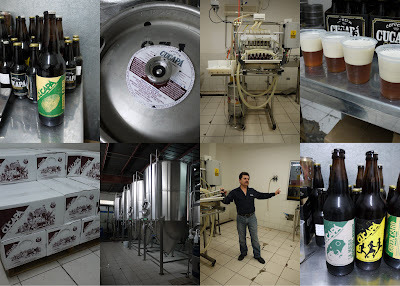 When it comes to beer and chabelas, Mexicali has a little something for everyone. Be sure to cool off with the local stars: Cucapa and Mexicali beer. 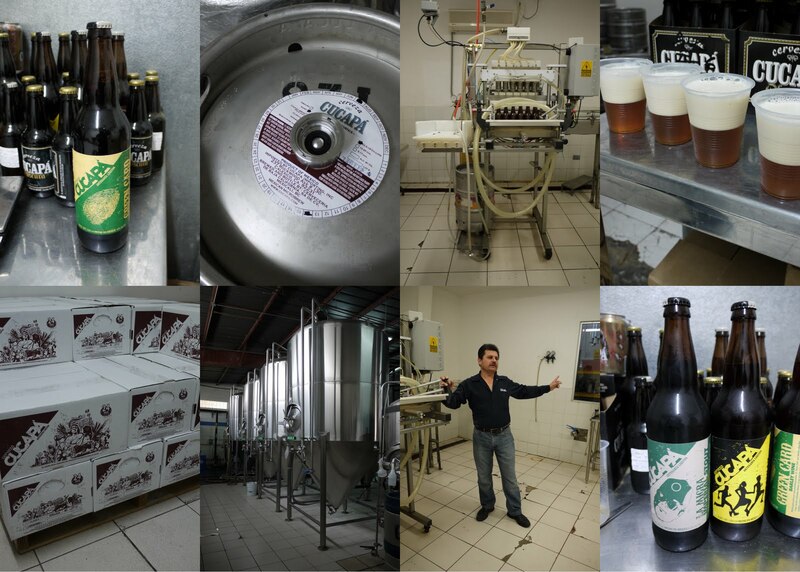 Even better, call and arrange a tour at the Cucapa brewery, where master brewer Jose Melaquiades will guide through Cucapa's beers from the standard brews to their signature line of craft flavors: Lowrider IPA, Runaway, La Migra Imperial Stout, and Green Card. There's even a 10% alcohol barley wine that's barrel aged. 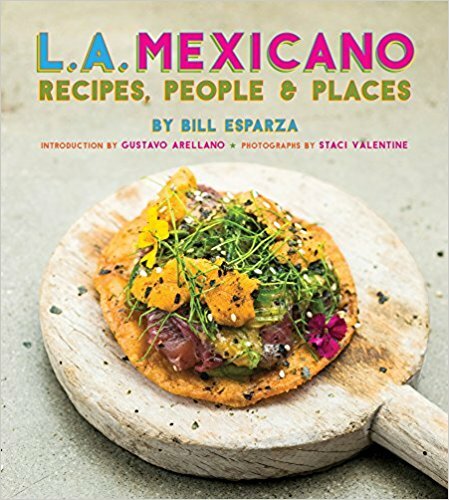 Spend a weekend in Mexicali and catch the flavors of northern Mexico, the warmth of the Sonoran desert and Mexicali people, and quench your thirst like a true Cachanilla in Baja California's industrious capitol. This is Mexicali! Av. Pino Suarez y calle "L"
This media trip was courtesy of Mexicali Tourism with input from Street Gourmet LA. 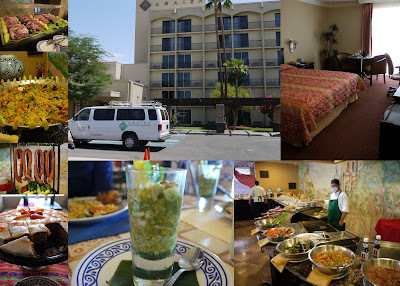 For more information about Mexicali please contact Mexicali Tourism here. Thank you very much for your opinion. I'm so glad you found the warmth of Mexicali and its high tourist vocation. 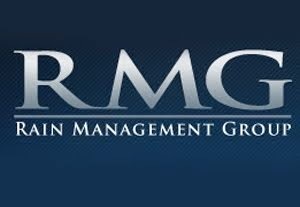 Thanks and Congratulations ...!! This looks handy. Cool to see you experiment with the collage format and more of a guide format. Nice change of pace. It's very unfair that I am just now seeing this, it's late, and now I am STARVING...nice photos! Mexicali beer is no longer made here in Mexicali nor does it have any resemblance to the original beer that was indeed brewed locally a long time ago. Cucapá, on the other hand is both our pride and best kept secret.....who knows for how long. the Laguna Azul is clearly the best seaf food joint down there!!!! Ive been to different parts of Baja California that are next to the Ocean, and none of them can compare to laguna azul in MExicali! You forgot to mention the street hot dog carts that offer delicous hot dogs servced with fries! Theres the Golosos, the one in front of the UABC, vergy good! I found this post very helpful while attending Baja Prog 2013 in Mexicali. Thanks, Bill!